Pokémon Go somehow has gone from being a vague promise of novelty to the biggest thing since... I dunno, Fallout 4? The idea is definitely interesting, even if many Pokémon fans find the game to be alarmingly insubstantial, and everyone else has zero desire to be be caught pretending to catch pocket monsters in the park. As a grown man who has long since shed his sense of childlike innocence, I fall into the latter category. Now that I no longer work in an office with rabid game fanatics, the only Pokémon maniacs I associate with regularly are nephews and cousins, all under the age of 15. Plus, something tells me I'd end up dead in a ditch if I roamed into someone's back yard in search of a Pikachu here in the Deep South. Still, I can't deny the Pokémon Go concept has legs, and that if you stretched it to work with something other than a series most widely associated with a kids' cartoon, I might even be willing to take the risk. Pokémon Go barely begins to scratch the surface of the potential inherent in the altered reality (AR) framework Niantic has implemented here... it could be so much more. I experienced for-real AR-enabled Minecraft last year at E3 with a HoloLens demo. I enjoyed it, but the idea felt awfully small in concept. Rather than using AR to immerse players in a game world, Minecraft for Hololens turns a player's world into a small simulation. It's cool, but the effect is more akin to looking at a model railroad set than like riding a train. 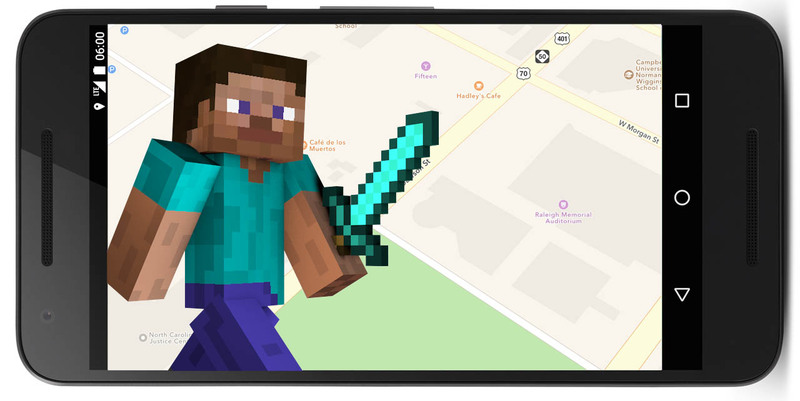 A "Minecraft Go" might allow players to place their worlds on their phones... or maybe use GPS map data to create a Minecraft overlay atop the real world. Players would use remote positioning to go foraging for resources or even stave off monsters — like a turn-based take on Minecraft, perhaps, that would feed back into players' own creations and progression. 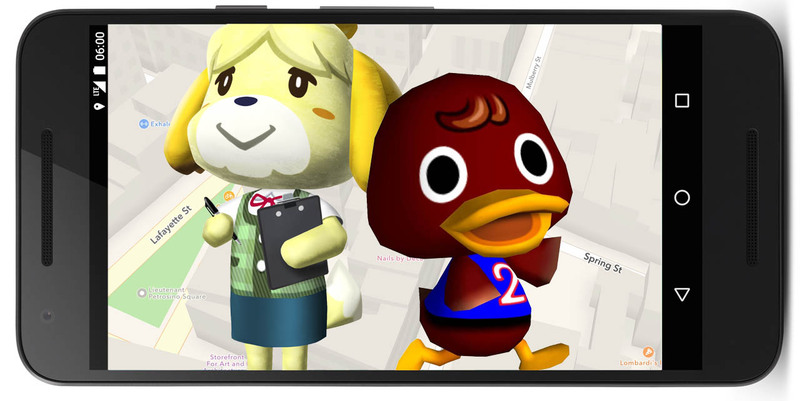 Animal Crossing: Happy Home Designer feels like the path forward into the world of AR-enhancement for Nintendo's lackadaisical life sim: In that game, players would visit the homes of clients to help style and refine them. Now imagine that concept expanded into real life, using GPS data to define real houses and shops, allowing you to visit friends and public spaces (please, no trespassing) and redecorating the virtual view you see on your phone. Now imagine that expanded to the full Animal Crossing experience: Walking around in the grass hunting for bugs, digging up fossils, or swiveling your phone upward to spot a lucky balloon floating overhead with a gift attached. Granted, Angry Birds doesn't have the clout it did five years ago (though apparently white supremacists really liked the movie), but kids still love it. And an AR boost could be just what the series needs. 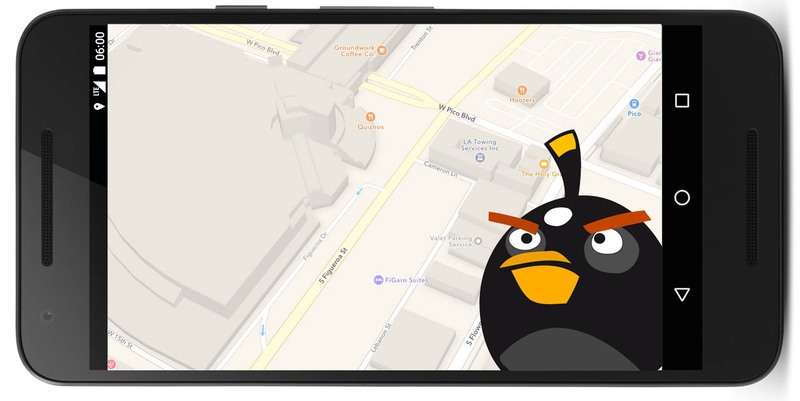 Dropping players at the foot of elaborate 3D structures that appear next to real buildings via your mobile phone view, allowing you to launch birds at those towering creations in an attempt to collapse them. It's like Boom Box, but outdoors! Nearly a decade before Pokémon debuted in Japan, Atlus' long-running RPG series was already enticing players to catch monsters and turn them into allies. In that light, it would only make sense for MegaTen (or its more youth-centric side story, Persona) to take a cue from Pokémon and bring altered reality to the world of demons — especially since the series has centered on the use of technology to delve into the realm of the arcane. Of course, demonic alliances in MegaTen aren't simply a matter of tossing a prison ball; instead, you have to negotiate with monsters to entice them to join you. 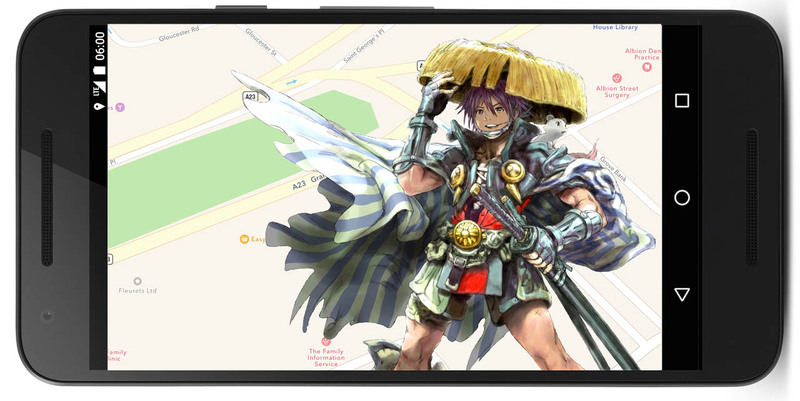 A "MegaTen Go" would therefore need to combine AR discovery with some sort of texting service in which you send an MMS to the monsters you encounter in the hopes of swaying them to your side. And of course the prospect of buying their loyalty with the demonic currency Macca introduces the obligatory monetization hook... just don't let the kids play this one, given the psychosexual nature of many SMT demons. The procedural nature of roguelike RPGs (which present players with randomized dungeon layouts and enemy/treasure placements each time they play) makes this a natural match for the move into AR gaming. Using GPS map data as a basis, "Mystery Dungeon Go" could randomize the placement of items and hazards in its AR overlay. It could even use the phone's accelerometer to determine when the player has taken enough steps to constitute a turn and allow monsters to take an action as well. And with the inclusion of persistent, networked information holding it all together, you could even go back to the genre's origins with the inclusion of "bones" files to mark where less fortunate explorers than yourself have fallen in battle. Heck, given the popularity of the Pokémon Mystery Dungeon games, this could even be the next generation of Pokémon Go... bringing us full circle back to where we started. Tagged with altered reality,	ar gaming,	Articles,	Pokemon,	Pokemon 20th Anniversary,	Role Playing Games.